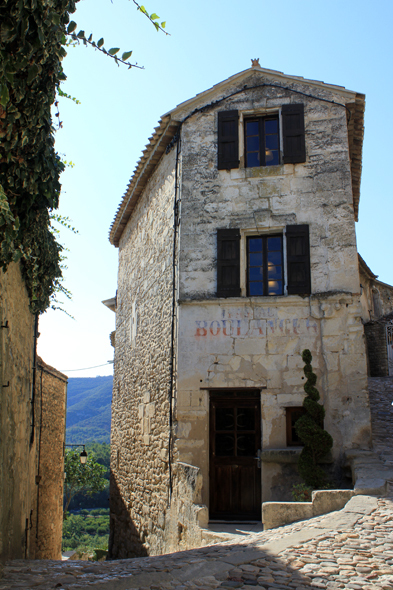 Alley of the village of Lacoste. Here, everything is question of atmosphere. We shall stroll in stoney and flowery alleys in particular in the street Saint-Trophime.